Rick Caccam submitted this photo and caption. 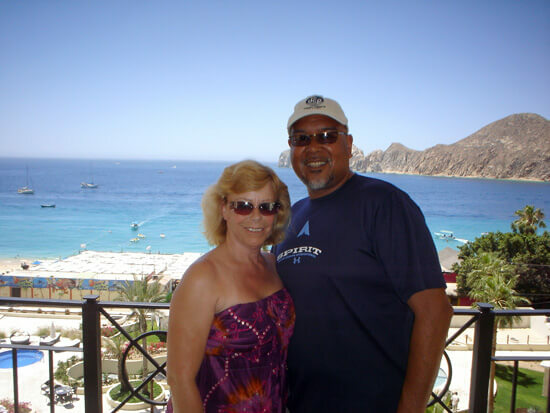 Here is a picture of my wife and me on our vacation in Cabo San Lucas, Mexico. Just have to rest up before the summer drum corps season starts! Let's have a great season of drum corps!